The Marion Guild at St. Aloysius Catholic Church was preparing for its annual bazaar and cake sale. The event would also feature a display by Estacada High School art teacher Bob Brown. Fruit cakes would be sold for $1 per pound, and there would be a white elephant gift exchange and free coffee. Items on the Estacada Grade School lunch menu included bean soup, scalloped potatoes, tacos and tuna sandwiches. The city's planning commissioners were considering a 20 unit apartment complex on Broadway Street. The complex would include 16 two bedroom units and four bedroom units. The smaller apartments would rent for $240 each. Newspaper staff were encouraging the owner of a lost dog to claim their pet, who had been taken in at the News Office. 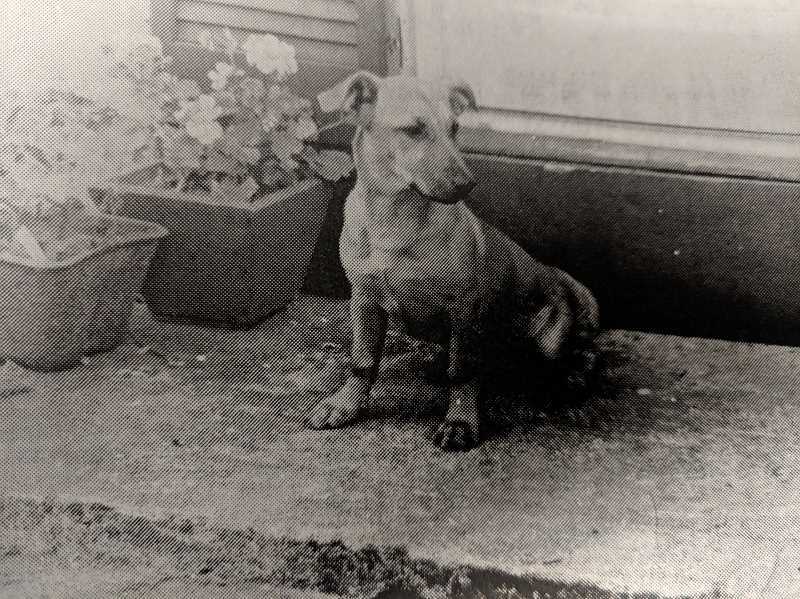 "The second stray dog to be housed, fed and clothed in the newspaper office, Betty, as we've named her, is a friendly bouncing dachshund cross of some sort," The News reported. Items from the newspaper's community calendar included a meeting of the Community Band, family fun night at Eagle Creek Elementary School and an open house at Odd Fellows Hall in honor of Bill and Bea Hale's 50th wedding anniversary. Estacada Grade School sixth-grader Courtney O'Byrne won a mountain bike during Figaro's Pizza's second anniversary celebration. Other prize winners during the event included Becky Taloy, Pat Reneau, Dale Phelps, Carol Beard, Kyleen Anderson, Donna Olson, Troy Fox and Mike Feil. "We want to thank the community for their patronage over the past two years and for many years to come," said John Scheer, who co-owned the restaurant with Tamara Jones. Recent college graduate Justin Gillett earned People's Choice and Judge's Choice during Estacada's Teeny Tiny Film Festival. Gillet's animated film, "The Story of an Astronaut," featured a traveler who left Earth on a flight to the outer space. Eventually stranded in space, the astronaut carves a face in the moon to look down at his loved ones. Estacada High School drama students were preparing to stage "Curtains," a musical comedy and murder mystery that sees untimely death of the lead actress in the show's struggling play within a play. Because of this, Lt. Frank Cioffi of the Boston Police Department is called in to solve the crime, with the thought that the murderer is still in the theater building. The cast and crew use this time to improve their show, "Robbin' Hood of the Old West," which has received many negative newspaper reviews. As the show goes on, scenes from "Robbin' Hood" are rewritten and rehearsed, and the body count increases. "We've never done anything like this before," cast member Sarah Irelan said. "It's not (a show) many people know. It's our senior year, and it's fun doing something super different that no one else can say they did."